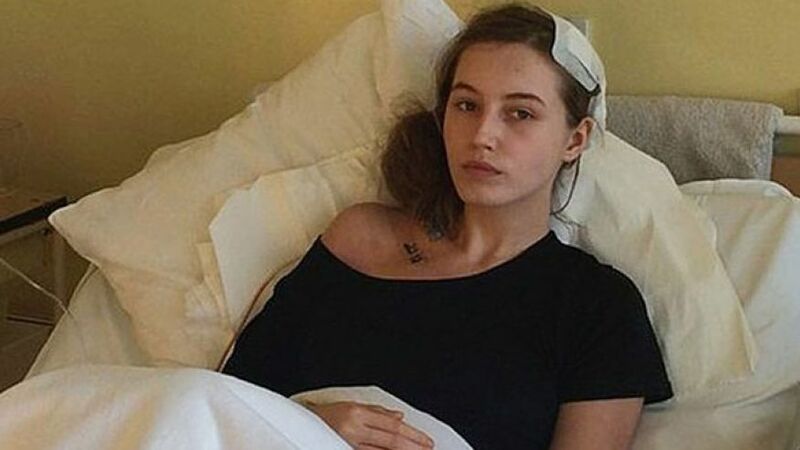 A teenage girl in Poland woke up during brain surgery and asked her doctors how the operation was going. Iga Jasica, 19, had been undergoing the procedure to have a cancerous growth removed from her brain. Doctors say she woke up halfway through the surgery when the anesthetic wore off. Her brain was exposed, but surgeons say the southwest Polish girl’s health was not in jeopardy. “Despite coming round, she didn’t feel anything and was never in danger,” neurosurgeon Dawid Larysz told The Daily Mirror. He added that Jasica wouldn’t have been able to see or feel anything. Jasica doesn’t remember waking up during the surgery. Doctors are investigating whether the anesthetic may have been improperly administered. Other experts told The Daily Mirror that the operation itself could have triggered her waking up despite the anesthetic. “I missed Christmas because of this operation, but it is the best present I could have had, as I am now feeling great,” Jasica told The Daily Mirror when the procedure was complete.